A vast bone bed of dinosaur bones from about the right time (66 million years ago) has been discovered in New Jersey that may be from the Great Extinction (the comet hitting the Earth). In a paper published on Thursday in Scientific Reports, Lockley and his co-authors compared the patterns to those left by puffins and ostriches, and deduced that the marks did not represent nests or digging for water or food. 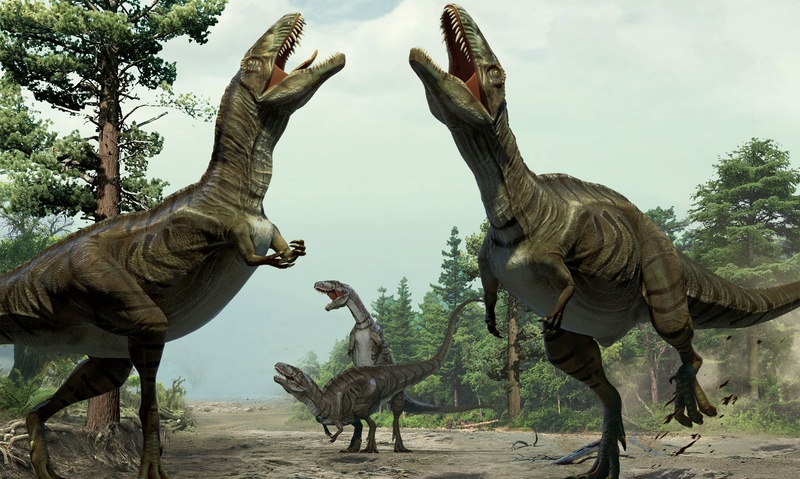 Link to full story: Dinosaurs performed dances to woo mates, according to new evidence .